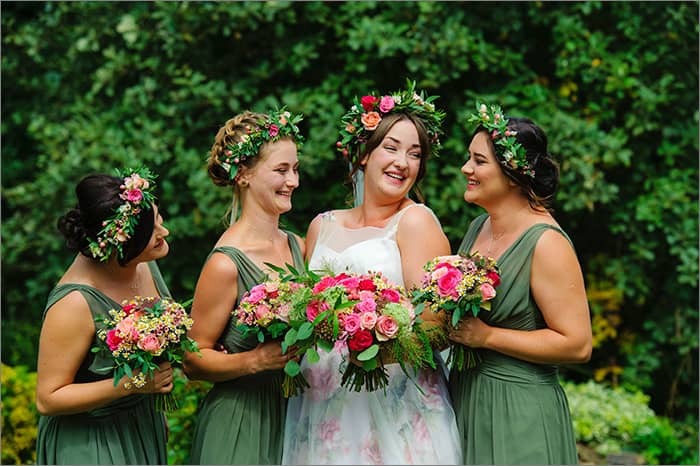 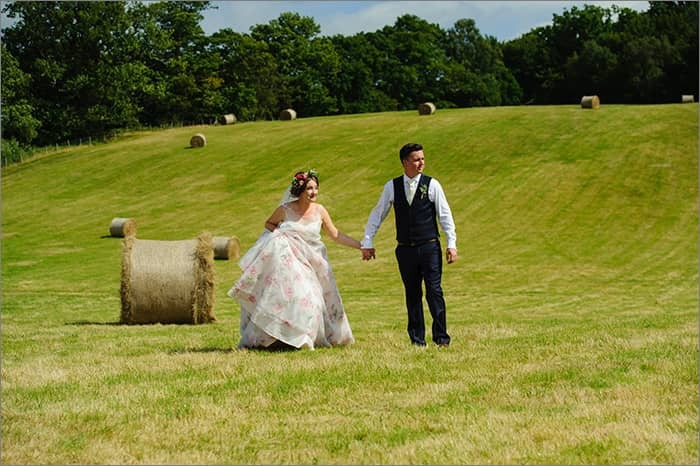 One of the things I love about being a Sussex wedding photographer is getting to work in the beautiful Sussex countryside and this was never more the case than when I shot Lucy and Andrew’s gorgeous summer wedding. 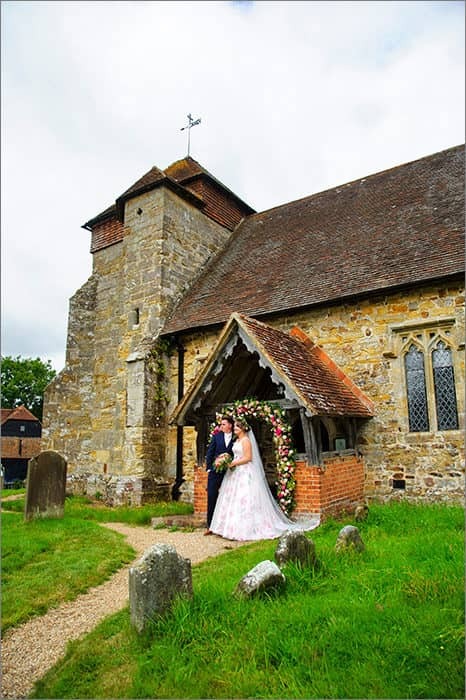 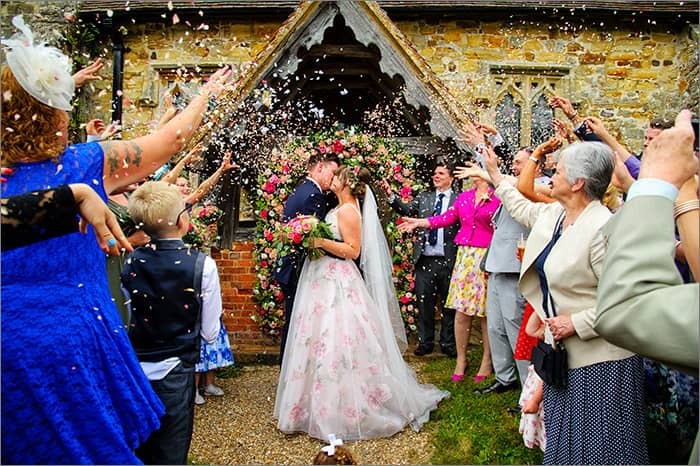 This lovely pair got married in the beautiful little village of Penhurst in East Sussex. 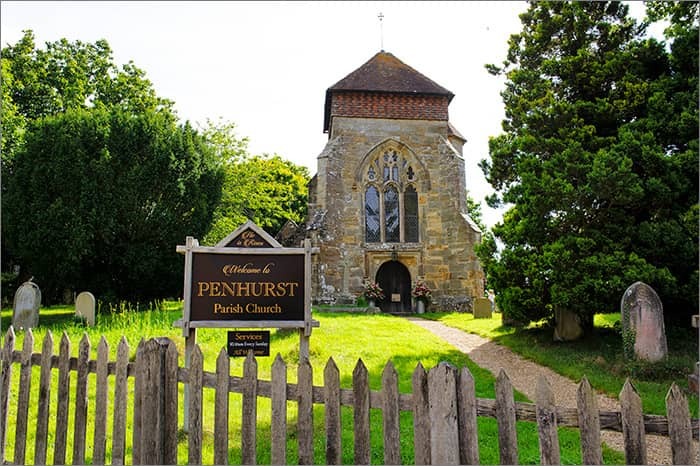 Penhurst Church dates from around 1370 and is situated in an elevated position next to a Manor House and some timbered framed farm buildings. 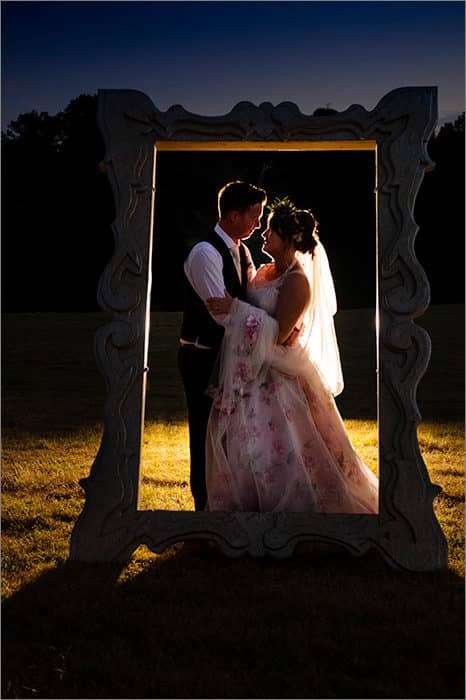 Lucy looked amazing in her dress, it was so unique and was so perfectly complimented by the floral arrangements provided by the very talented Cara Fox at The Enchanted flower. 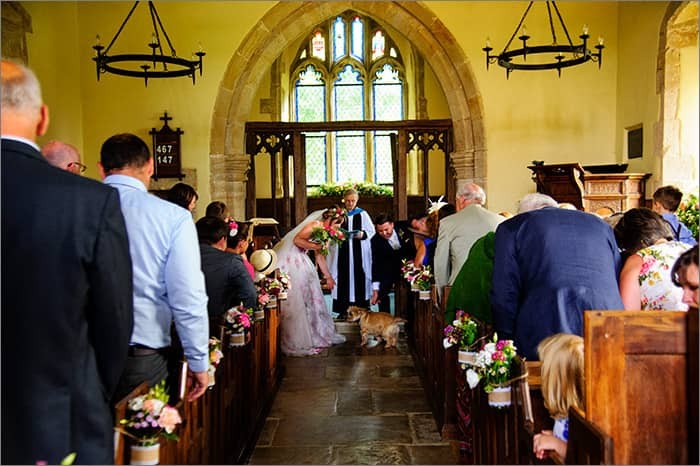 Now, weddings are all about celebrating families and loved ones in all forms so it was lovely to see Lucy and Andrew’s dog in attendance for their ceremony. 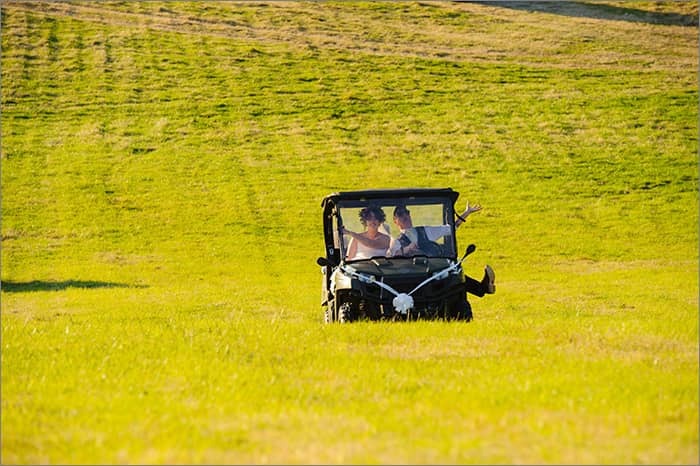 He performed his duties diligently! 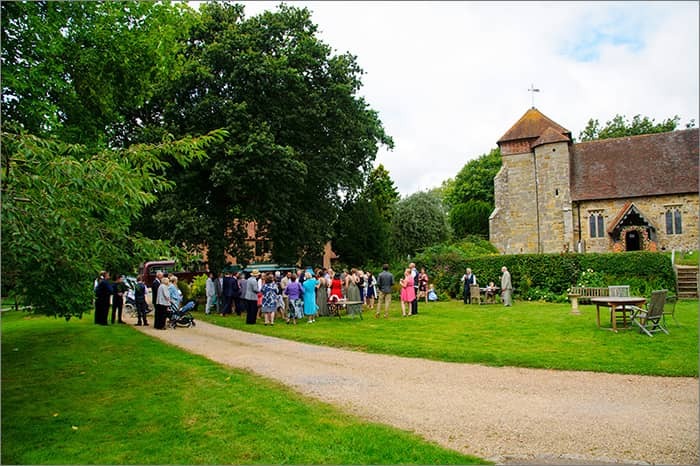 After a lovely ceremony everybody spilled outside for a drinks reception. 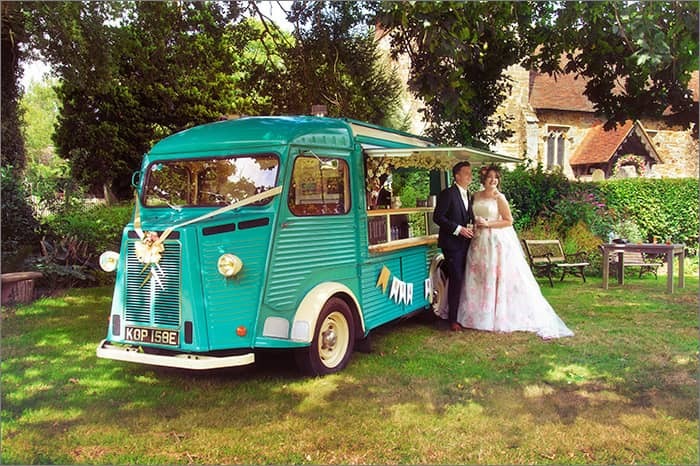 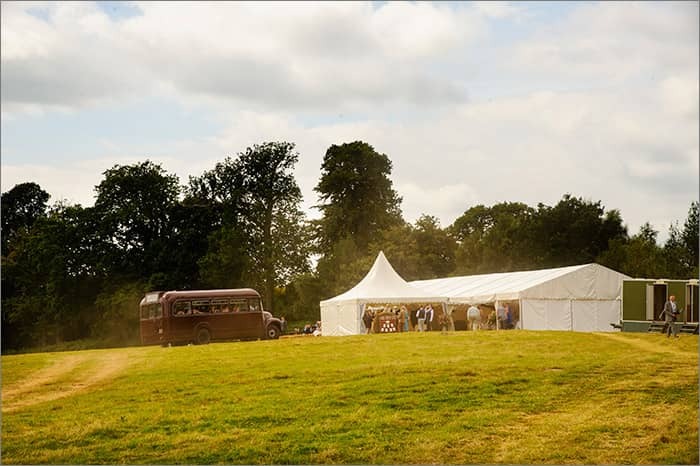 The area around the church and Manor House has remained unspoilt for generations so was the perfect place for Lucy’s sister Kim to pitch up her ‘Pimms Van’ to provide an alfresco drinks reception for Lucy, Andrew and their guests who could happily sip, mingle and soak up the idyllic surroundings and summer sunshine. 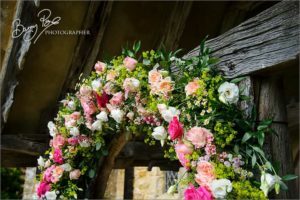 This gave me the opportunity to take some great shots with the church’s timbered framed porch and the manor house entrance providing me with fantastic backdrops. 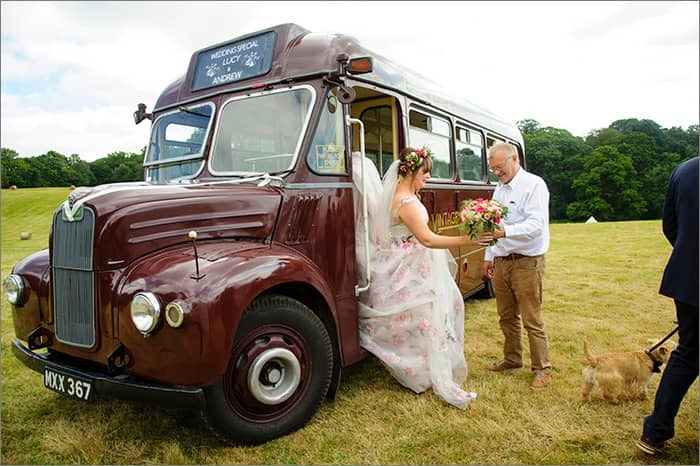 Then everybody headed to the wedding reception with the wedding party travelling on a fantastic vintage bus. 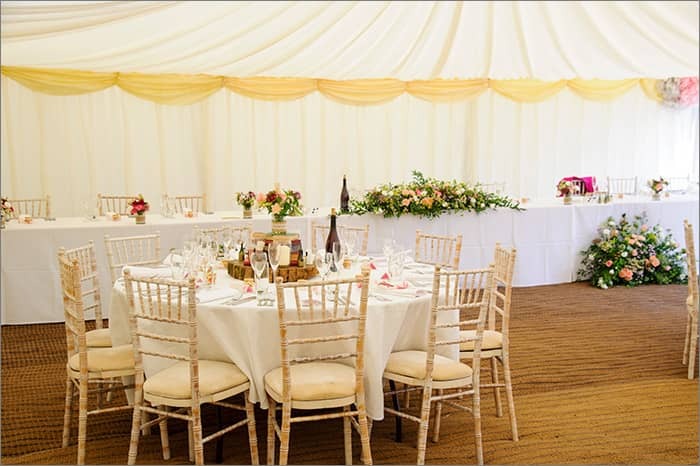 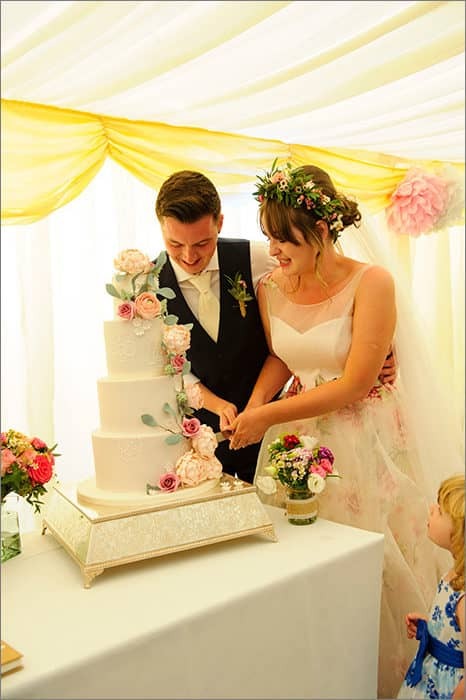 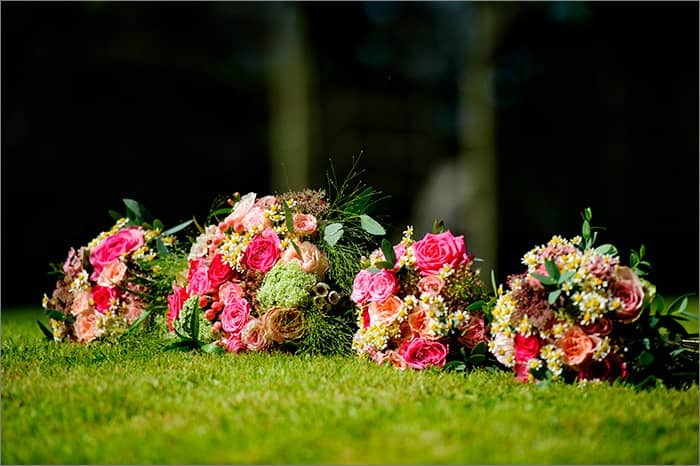 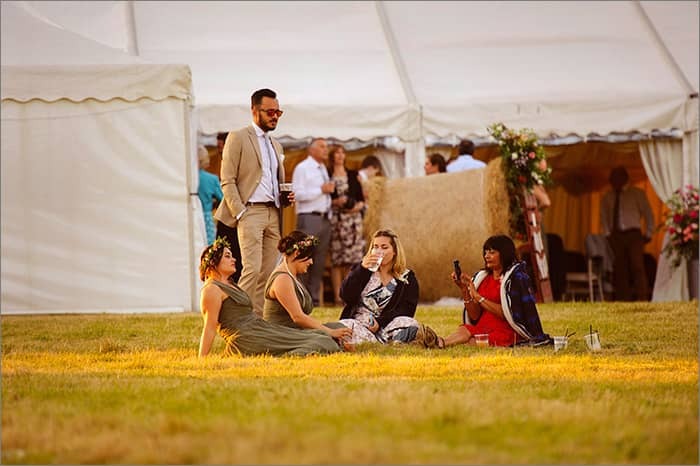 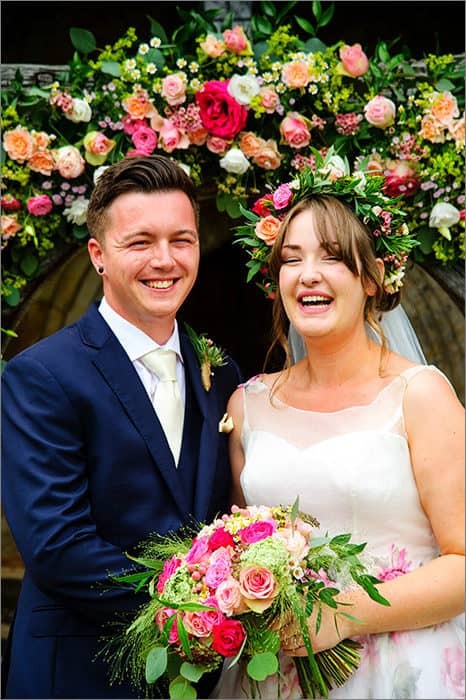 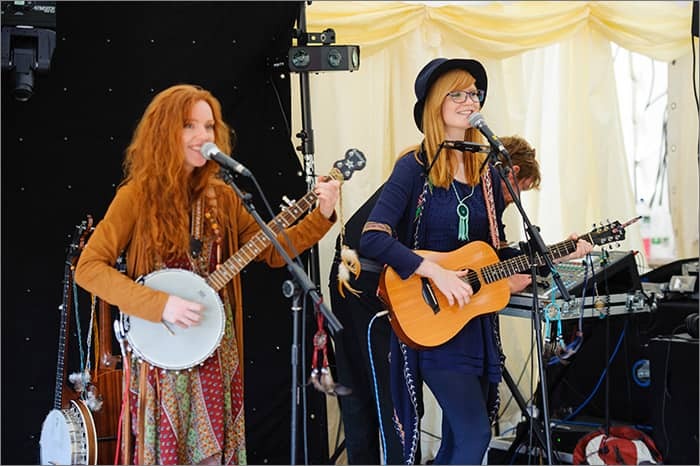 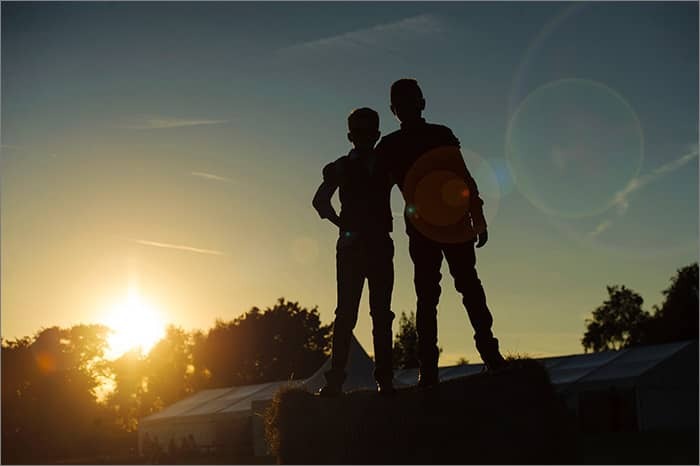 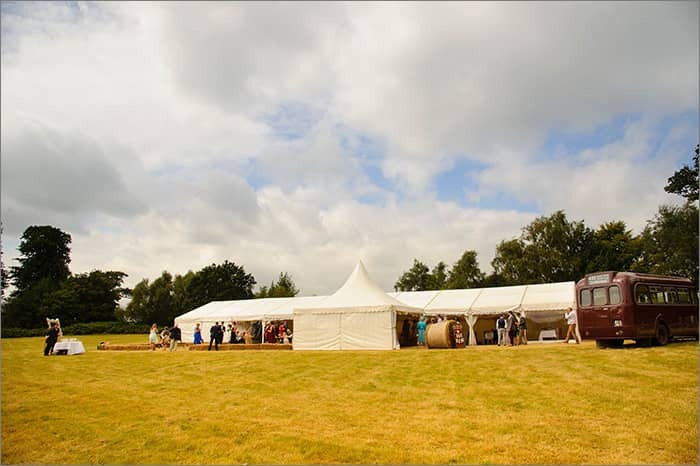 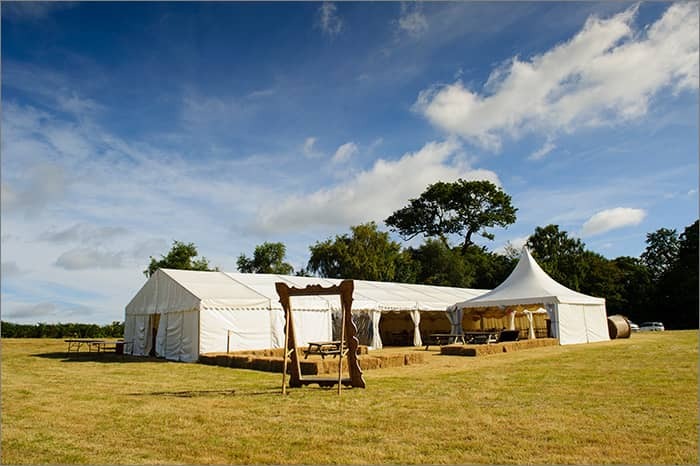 The reception was held in a field in a luxury marquee opposite Lucy’s parents’ house. 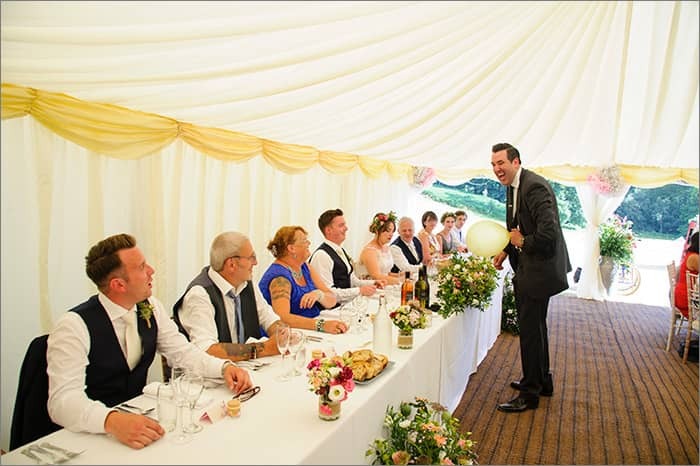 Guests were entertained by the very funny (and tall) magician Alexander James with up close magic tricks that wowed everybody. 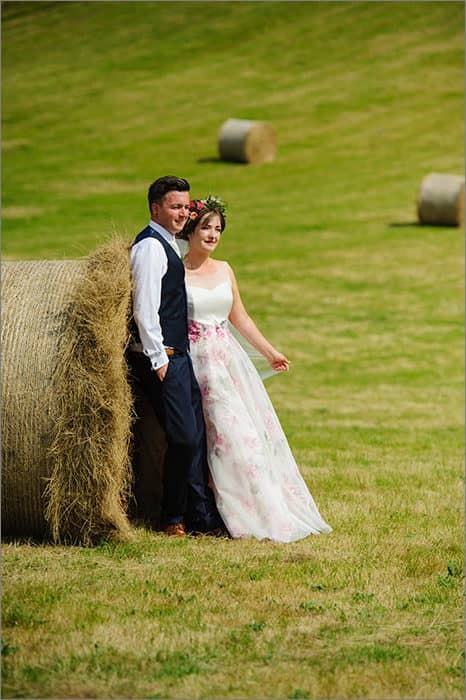 The weather was sunny all day so I took full advantage of the fantastic light, hay baled fields and rolling countryside to take some great location and portrait shots of Lucy and Andrew along with some formal and informal images of them with their wedding guests. 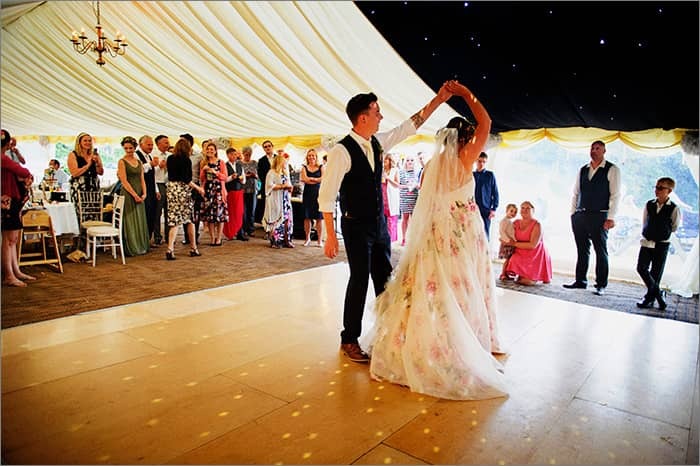 Evening entertainment kick started with a romantic first dance, there was also a live band and a disco. 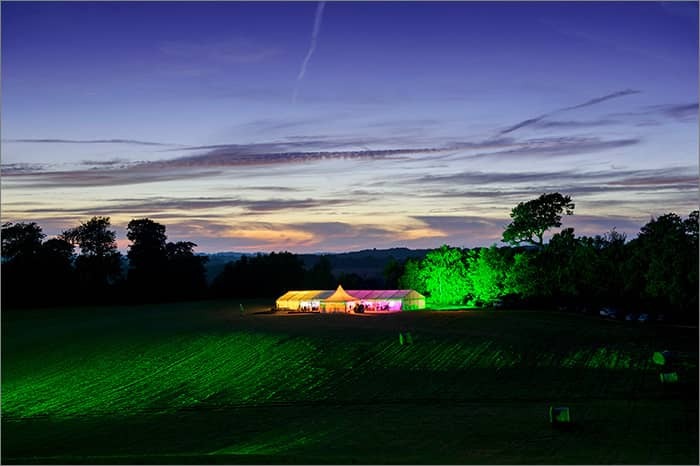 Take a look at my after dark images of the marquee, it looked so magical lit up. 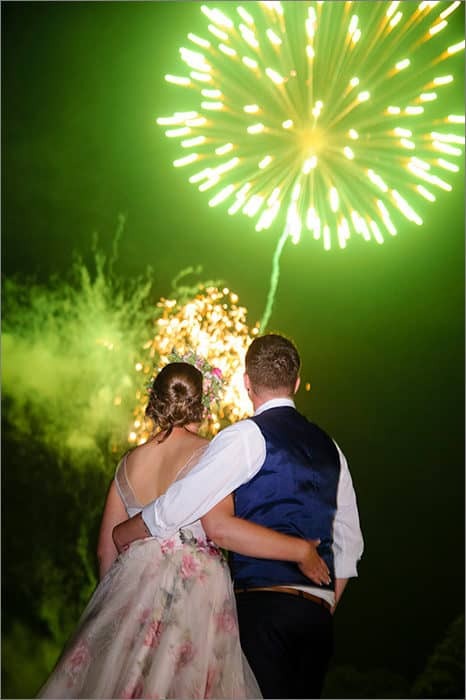 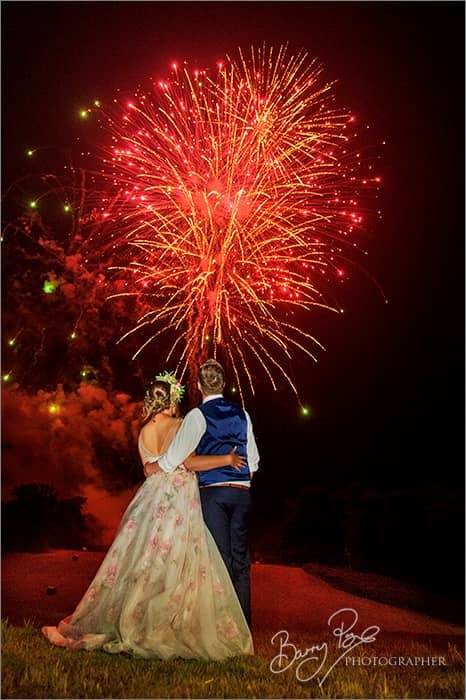 After the sunset guests took a break from dancing to step outside to enjoy an amazing fireworks display and it was this image of Lucy and Andrew with the sky lit up above them that seemed a fitting shot to close the story of their day. 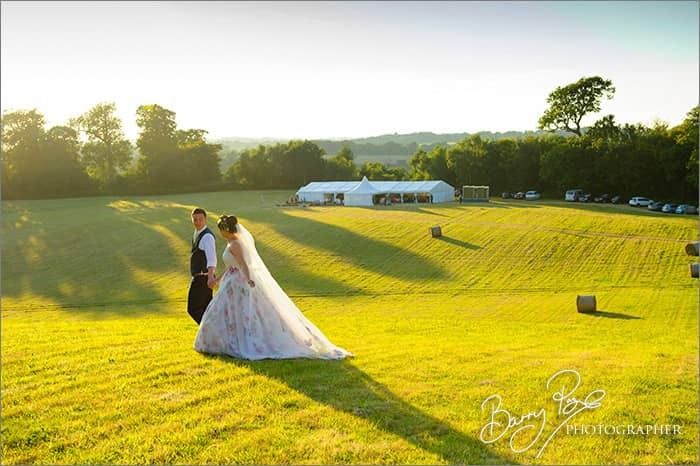 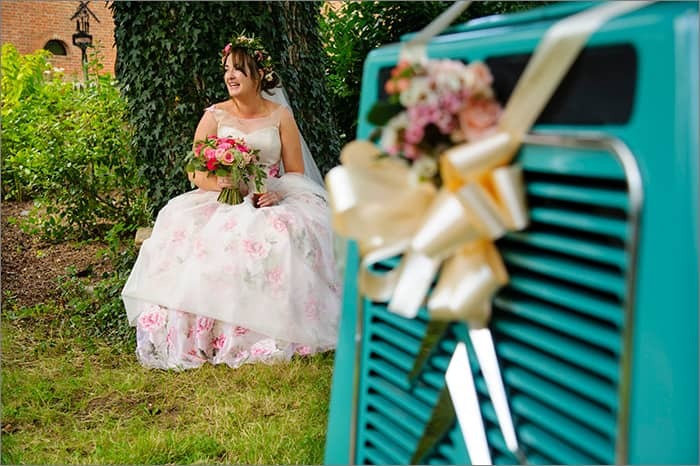 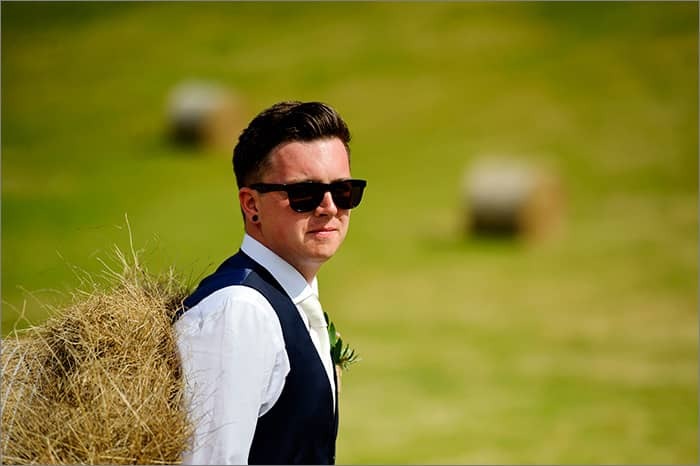 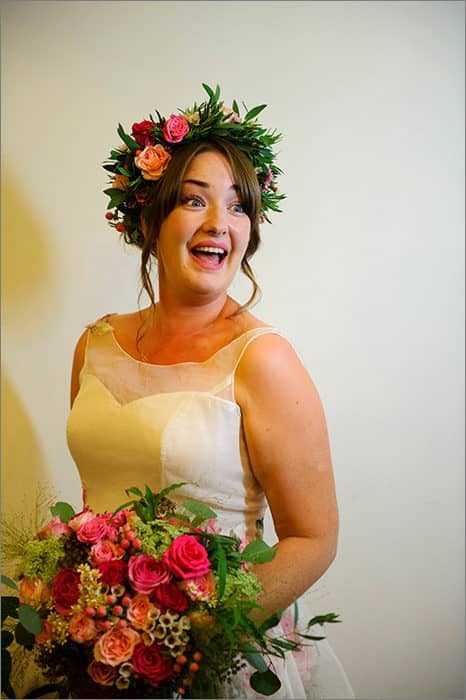 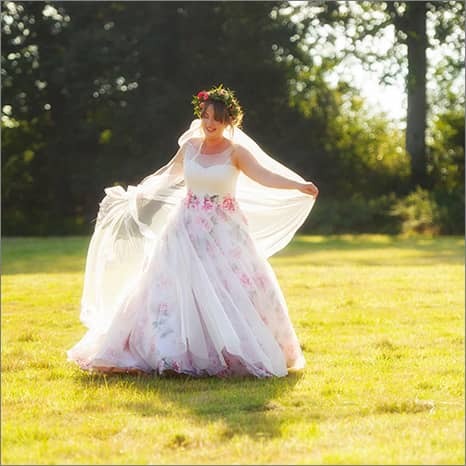 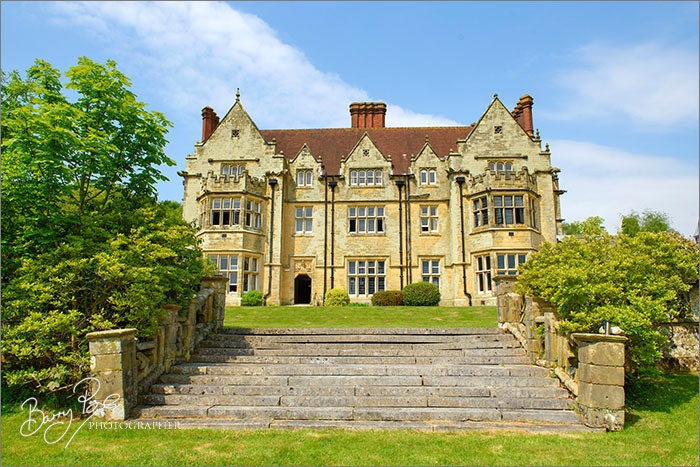 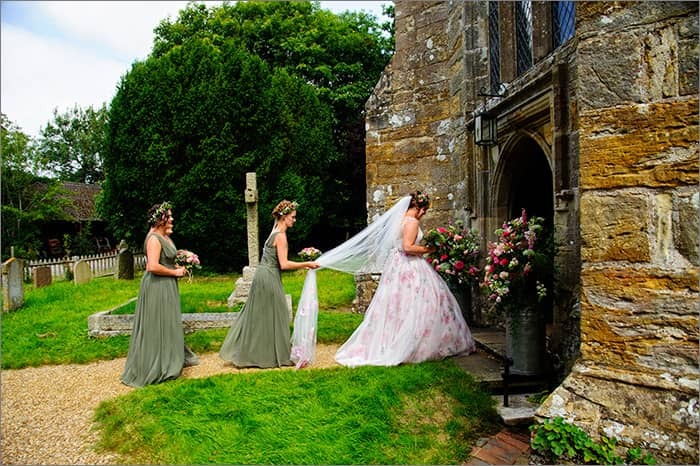 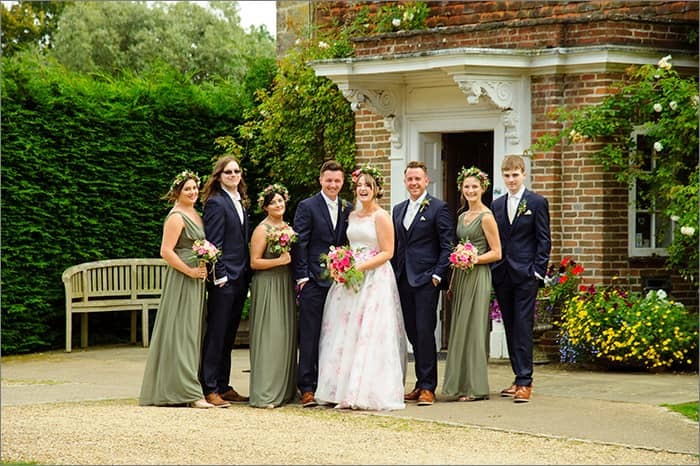 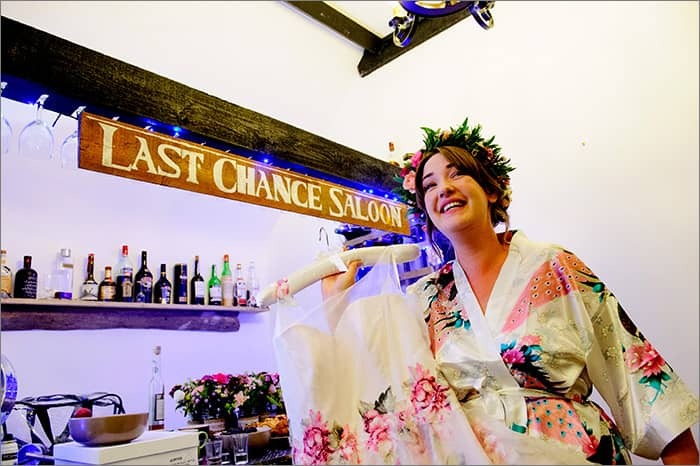 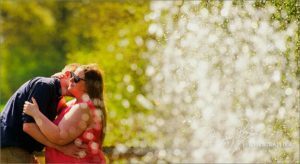 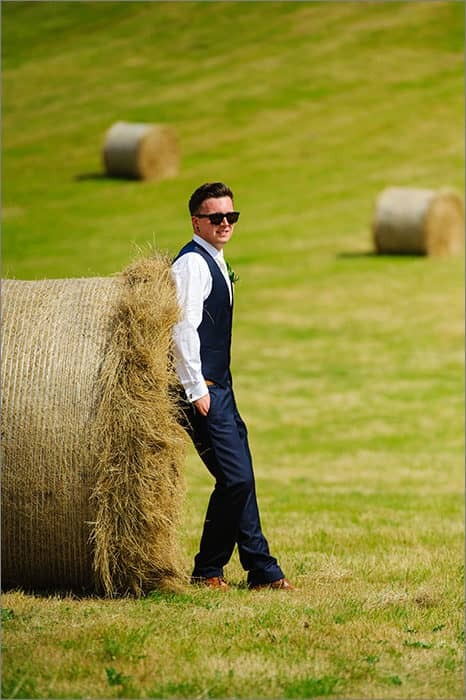 Sussex wedding photography bookings don’t get much better than this! 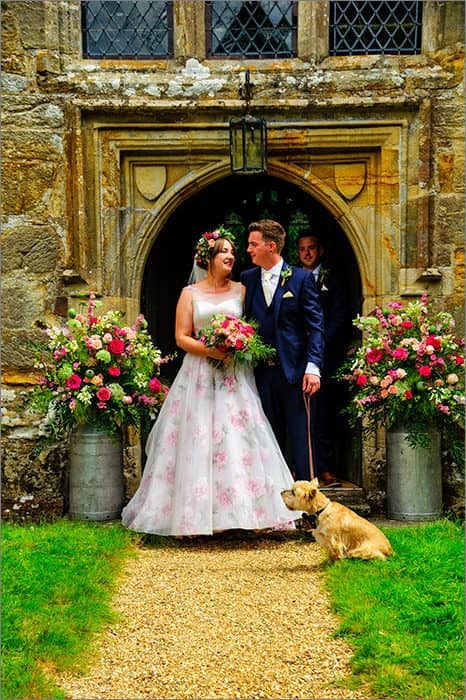 A chic country family (and pet) friendly wedding for this lovely pair. 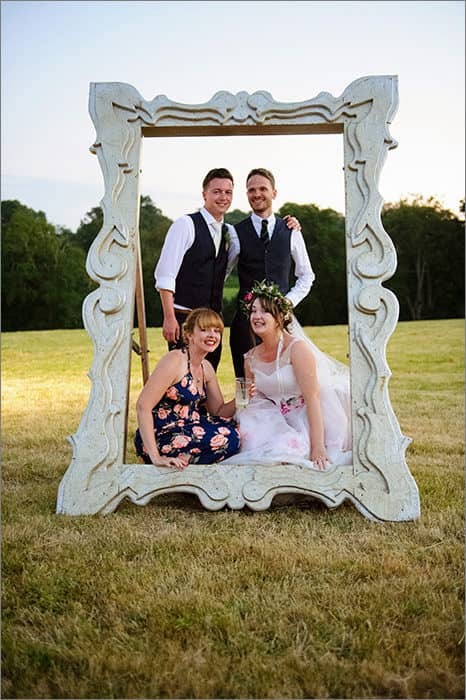 Congratulations to Lucy and Andrew for getting married and thank you for allowing me to tell the story of your day.